Photo: Coll. No. 1316, Pinus ponderosa in Ranson Edwards Homestead Open Space Park. Eastern Mojave Vegetation Coll. No. 1316, Pinus ponderosa in Ranson Edwards Homestead Open Space Park. These were in the southern part of the park, just below the railroad tracks. Plainview Road, Jefferson County, Colorado. : n. of Coal Ck..
Field Notes: Coll. No. 1316. 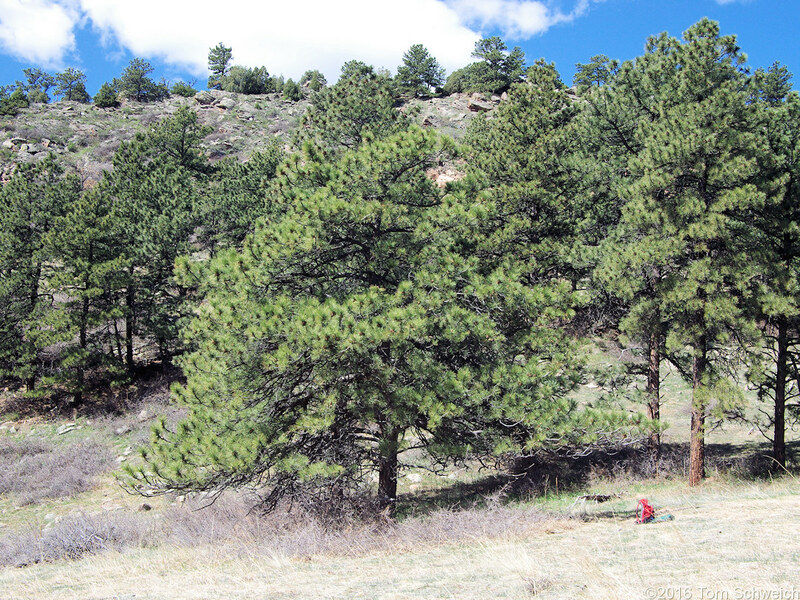 Other photos about Species or Pinaceae Pinus ponderosa.